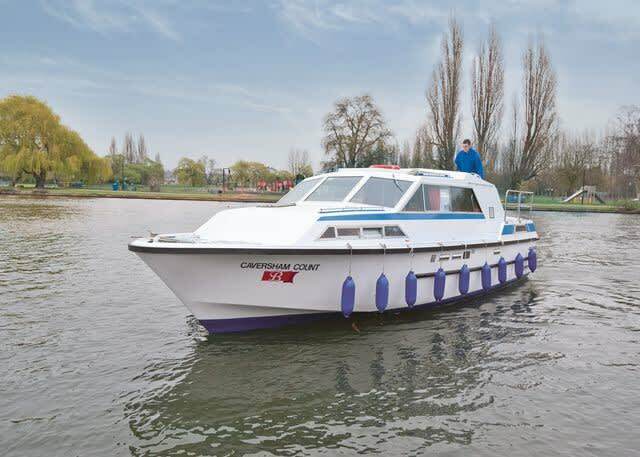 Stylish cruiser ideal for open air cruising - 9.75m + 3.66m. Saloon has convertible double berth and access to rear sundeck. Rear cabin with double berth, en-suite shower room with toilet and hand basin. 2 x Single berths in front cabin. Shower with toilet and hand basin. Well equipped galley with oven and fridge. She is available for bareboat charter, prices start from £659.00 for the weekend.